A brand new Boeing 737 Max crashes 13 minutes after take-off in. As usual speculations abound, but since the FDR has been found the truth about the ill-fated flight will soon surface. What can’t be denied is that the Boeing of Flight JT610 had serious computer problems. And in the hi-tech, fly-by-wire world of aircraft manufacturers, where pilots are reduced to button pushers and passive observers, these accidents are prone to happen more in the future. Lion Air’s Boeing Max with serial number PK-LQP on a previous flight. The crash of Lion Air occurred in the Java Sea, the ocean where Air Asia Q8501 went down four years ago, but this time there was not an Airbus involved. Instead, the plane that was flying from Jakarta to Pangal Pinang, was a Boeing that recently had left the Seattle factory. Another interesting fact: On Monday morning October 29, the skies were clear and there was no bad weather as on June 1, 2009 when another infamous flight, Air France 447, crashed in the Atlantic. 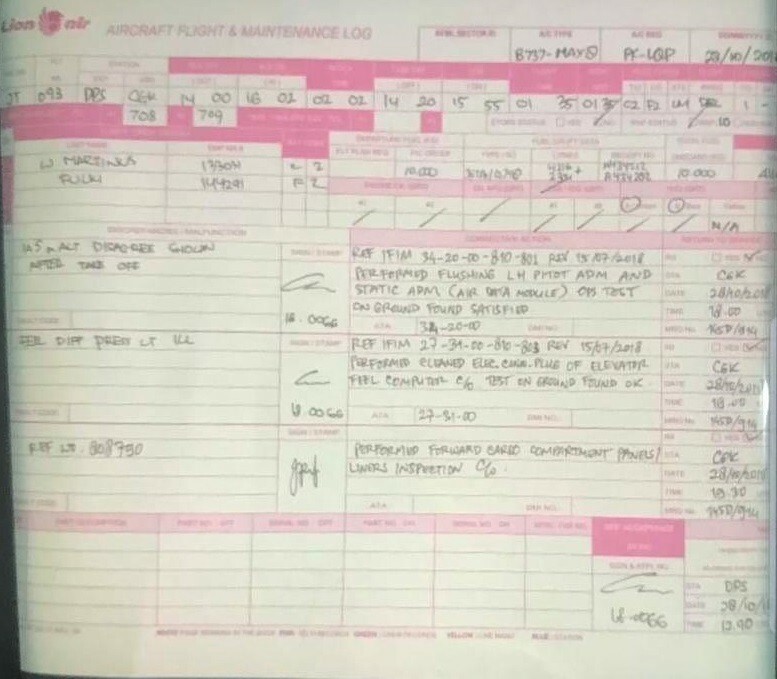 On a previous flight of the cursed Lion Air Flight (Flight JT43)the plane had already some serious issues with the air speed and altitude data, so the question arises why the plane was allowed to take-off instead of doing a serious overhaul. Did the maintenance crew perform the correct actions in compliance with the Boeing’s handbook? Will those glitches that affected the Lion Air’s plane affect other new Boeing 737 Max? A lot of interesting angles to this accident and many await eagerly the results of the investigation by the Indonesian aviation accident board or KNKT. This suggests that the problem did not lie with the sensors (pitots and static ports) itself, but with the Air Data Modules (that collect and interpret the external pneumatic information and convert them to digital data) or with the ADIRU (Air Data Inertial Reference Unit) which collects the information from the ADM’s and provides data to the pilots’ flight instruments, the Auto Pilot and the flight control system. The ADIRU is nothing less but the brain of the plane. 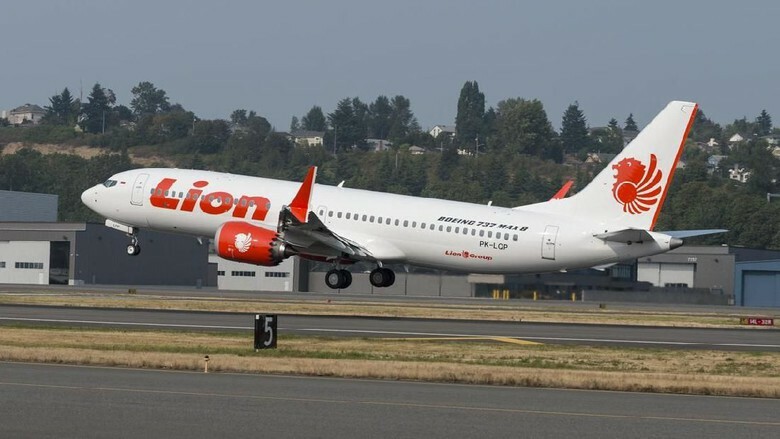 Lion Air’s Boeing 737 Max had experienced other problems on another flight, the one from Manado to Denpasar (Flight JT775) on october 27. After that flight the plane had been grounded for 12 hours, longer than normal. According to Lion Air’s engineer Nyoman Rai Pering, this was due to a problem “with the angle of attack, which controls the stability of the aircraft,” as Pering was quoted in The Guardian. The angle of attack is measured by other sensors than the speed or static sensors. 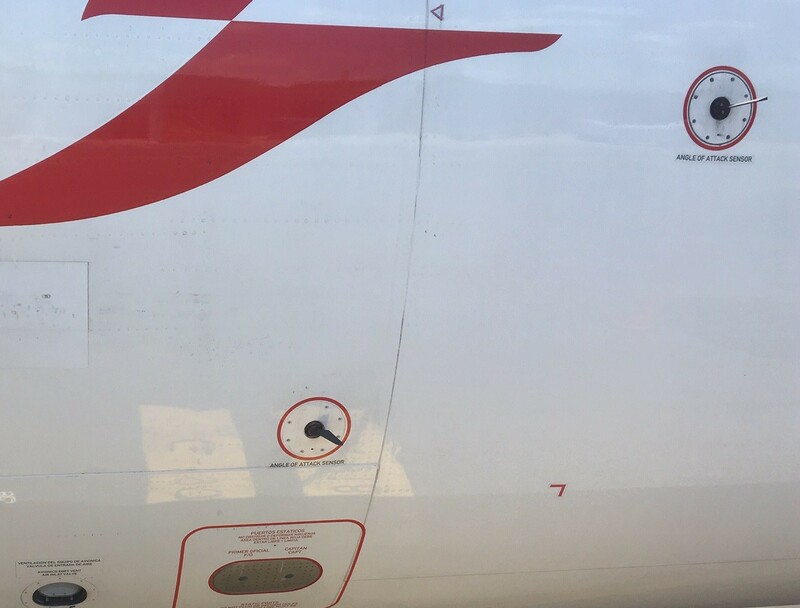 In some cases those AOA sensors have become frozen, like on Lufthansa Flight 1829, but here again: it’s highly unlikely that on several Lion Air Flights, the different sensors became inoperative simultaneously by external agents like ice crystals. It’s much more logical that there was a problem within one of the ADIRU’s. Lion Air’s maintenance actions seem to confirm this theory. They cleaned up the modules before Flight JT 610, but did not replace the ADIRU. This phenomenon happens more often than is generally known to the public: A month ago, two inoperative ADIRU’s on Air Canada Flight AC-336 from Edmonton, to Montreal forced the pilots to declare a Pan Pan and do an emergency landing in Montreal. The aircraft had taken off with one ADIRU inoperative (which is strangely permitted by the supervising authorities like the FAA or EASA, because it is not part of the minimum equipment list or MEL) and then another Adiru failed during the flight. The most infamous case of an Adiru going crazy and putting lives at risk was that of Flight Qantas 72 in 2008 (check out this interesting interview with Captain Kevin Sullivan). The problem with a flawed ADIRU is not only that pilots get the wrong information on their instruments (which should not be dramatic: they have stand-by instruments and there are protocols for flying with unreliable airspeed). The problem is that in fly-by-wire aircraft, a flawed ADIRU can act directly on the control surfaces of the plane (like the elevator) against the pilot’s wishes. As happened with Qantas Flight 72 and could have happened with Lion Air, considering the sustained erratic flight path, suggesting the pilots were trying to regain control over the aircraft. Hopefully the final accident report will resolve these technical issues and not fall back on the magical formula of “pilot error”. Although the Indonesian company had a lengthy record of incidents and runway overshootings and perhaps the pilots were not the best, there is clearly a mechanical problem at the root of this accident. Lion Air made a glaring mistake in letting this aircraft take off, after the reported anomalies the previous days, without a more thorough investigation. And finally, will the manufacturer (Boeing) be held accountable when it gets proven that the Air Data Modules or the ADIRU on the Lion Air plane were flawed? Not necessarily, because those components are generally made by other manufacturers like Honeywell or Northrop Grumman. But the Lion Air accident will be a landmark in that sense, that this time there wasn’t an Airbus — considered to be a flying computer by old school pilots — involved but a state-of-the-art pilot’s plane, the Boeing 737. Tom Dieusaert is the author of “Computer Crashes, when airplane systems fail”. ISBN: 9789872484347. He is currently editing a book by pilot/author Jim Atkinson: “This is not your Captain speaking” about the future of pilots and unmanned aircraft.